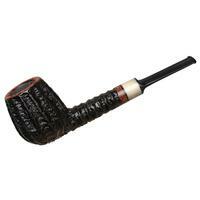 Having apprenticed under Tom Eltang, Mike Sebastian Bay received Tom's blessing to use the Danish master's legendary rustication style. 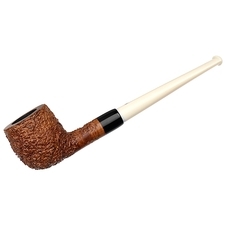 In his own work, though, Bay has taken his own creative liberties with the finish, often displaying it in unique patterns that differ from Eltang's conventional use. 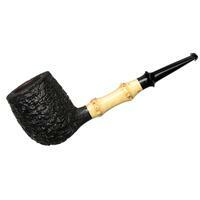 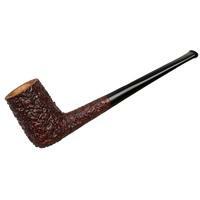 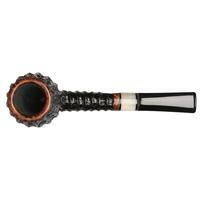 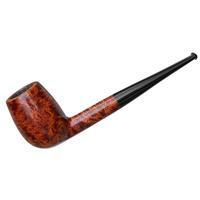 Here, the crisp style adorns this classic Danish Billiard. 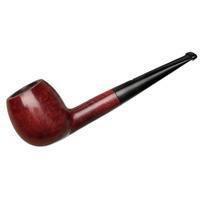 The textured finish has been rendered in a vertically striated manner, aligning well with the bowl's supple taper toward the rim. 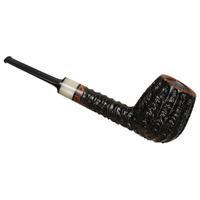 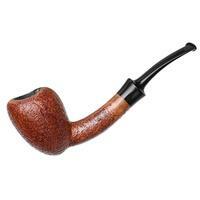 Wonderfully shaped and incredibly intriguing in hand, this piece is accented with a smooth, polished briar at the rim and shank end, while the saddle stem base has been fitted with a creamy accent of genuine horn.